As to the Maize germ and maize bran :20-25% , we can separate them or we dont separate them . 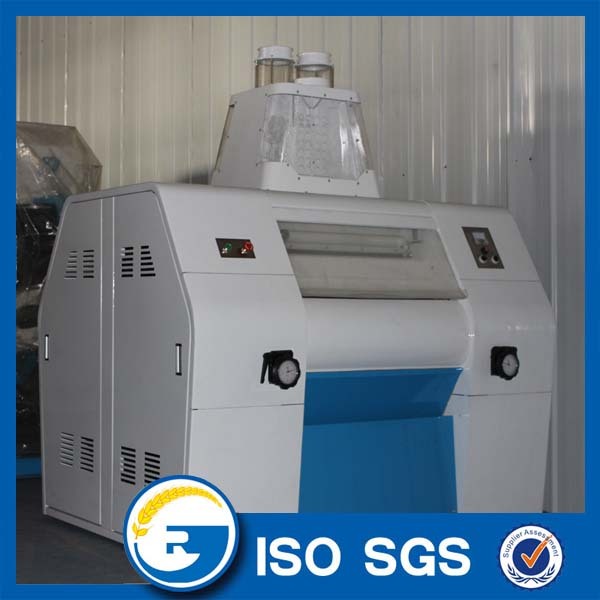 that is according to whether you use the germ.You know the germ is used for oil, but in small Maize Meal Machine Plant , you can get very very little germ from the line, and according to our experience, the African people dont separate the germ. 4. Backup Service: One year spare part for free. 2.Yield rate: grade corn grits, grade corn flour 25-30%. Corn grits and corn flour total yield rate: 75~80%. F. Appearance and taste:even granularity, golden color, smooth kernels, fine powder, pure and natural taste. Main equipment include : vibrating screen, classifying destoner, air blower, air suction duct, degerminator, germ extraction machine, polishing machine and flat sieve. 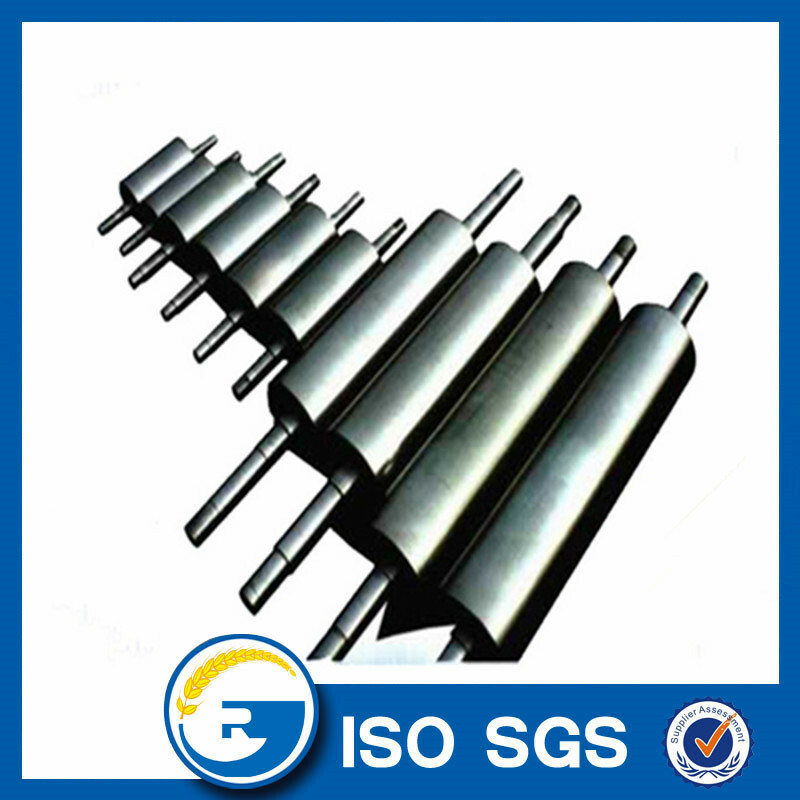 Traditional emery roller peeling technology will result in a lot loss because it can not finish peeling for one time. Price is important, but after-sale service operation cost is also very important, such as motor power, labor cost.With very few wear parts,Our peeling machine and mill machine have very long service life. Overseas installation is available. 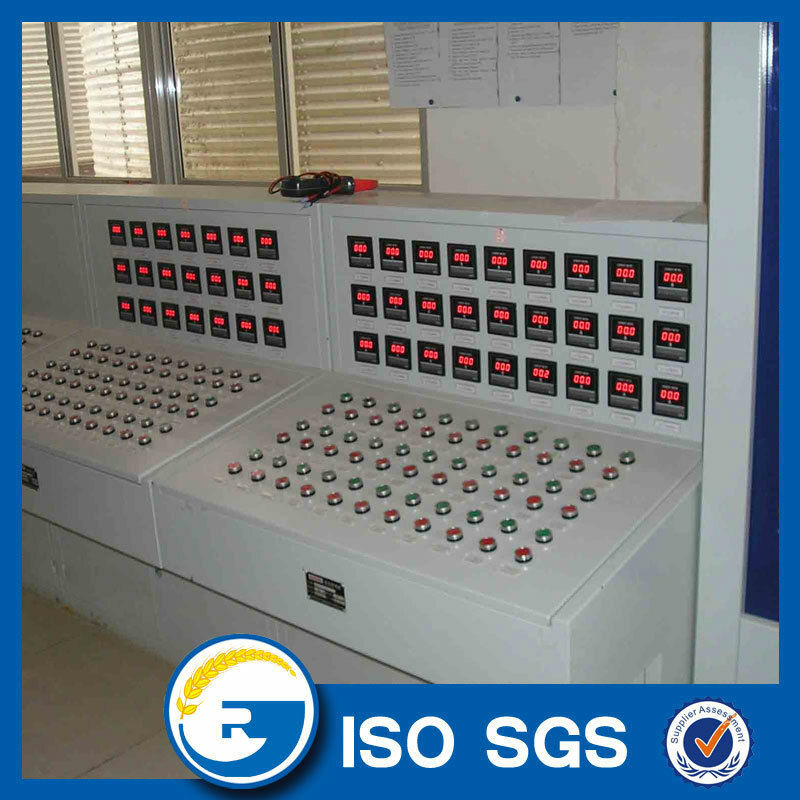 We will arrange our engineer to install the machine and train your workers to operate independently.. Looking for ideal Maize Meal Machine Manufacturer & supplier ? We have a wide selection at great prices to help you get creative. 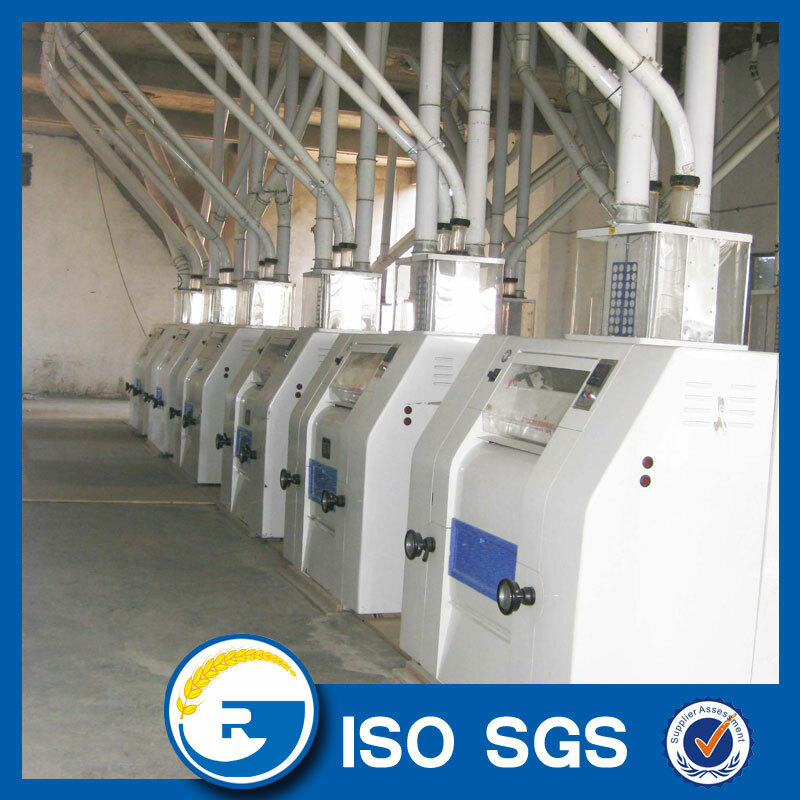 All the Corn Meal Machine are quality guaranteed. 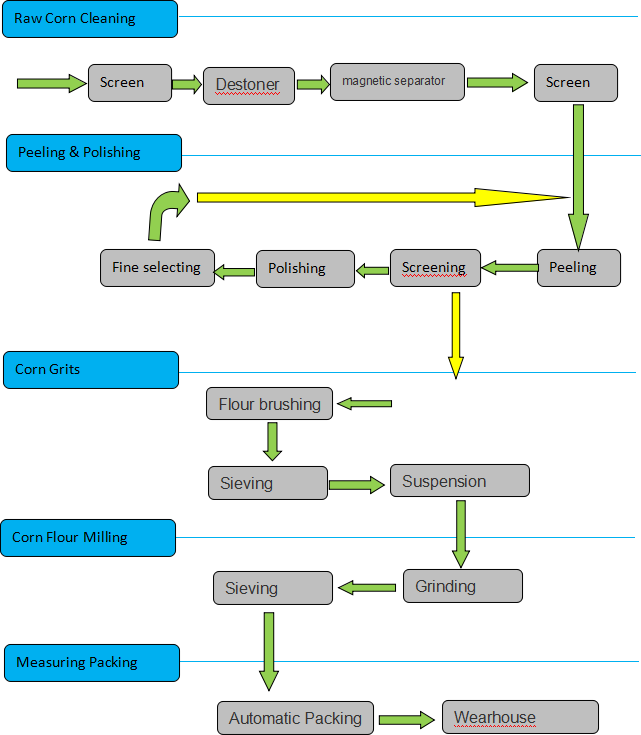 We are China Origin Factory of Corn Meal Milling Machine. If you have any question, please feel free to contact us.